A major operation is under way at the 850-year-old Gothic building but the spire has collapsed. Crazy story out of Paris. There was mass in session when the fire broke out. Hope everyone made it out safely and this historic building can be saved. Update: The spire has collapsed and officials fear they may not be able to extinguish the blaze. 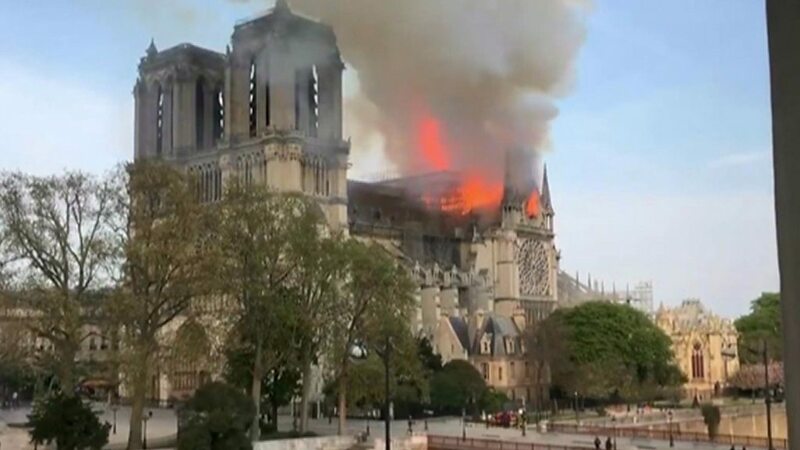 We may be witnessing the death of Notre Dame. Beautiful building, I hope they can save the front of the building. Terrible news. I visited three times, once in 1984 as a school kid, and then in 2001 and 2003. I visited twice, once in 2005 and again in 2014. I never much cared for cathedrals, kind of a seen one seen them type thing. But there’s something different about Notre Dame. Hopefully it can be saved. EDIT: Parisian authorities say the fire is under control and the towers and facade will survive.